Luis Fonsi & Daddy Yankee's latest single, Despacito, featuring Justin Bieber, spends its 13th week at No. 1 on the Billboard Hot 100 Singles Chart! It is now the longest-leading Hot 100 No. 1 of the year!! Holding its spot at No. 2 we have DJ Khaled's Wild Thoughts featuring Rihanna & Bryson Tiller and climbing to No. 3 we have French Montana's Unforgettable featuring Swae Lee! 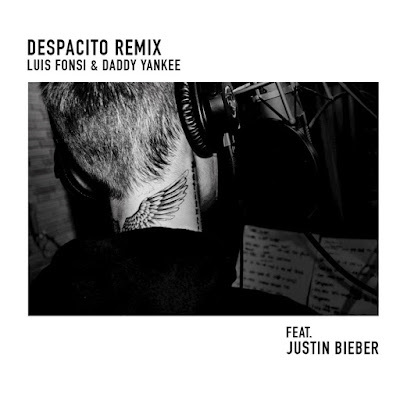 O remix de Despacito de Luis Fonsi e Daddy Yankee, com Justin Bieber, passa a sua décima terceira semana no #1 nos EUA e é agora o tema que mais tempo passou no #1 da Hot 100 este ano! Parabéns! A segurar o #2 temos Wild Thoughts de DJ Khaled e no #3 temos Unforgettable de French Montana com Swae Lee!